Online Shopping Malaysia: Want have beautiful plump skin like Song Hye-kyo? Kose Medicated Sekkisei Emulsion give you perfect skin like artist! Want have beautiful plump skin like Song Hye-kyo? 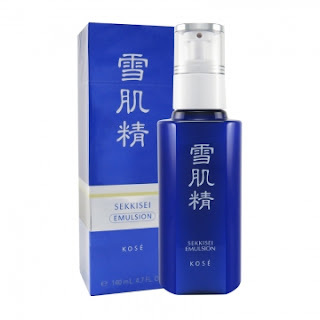 Kose Medicated Sekkisei Emulsion give you perfect skin like artist! A deep, hydrating, whitening emulsion for beautifully plump skin. Highly emollient and refreshing, with a rich texture that never feels sticky. Contains five oriental herbal extracts (elecampane, coix seed, moutan bark, melothria, angelica) for moist, translucent skin.